Want Rapid Hair Growth? What You Need for Optimal Skin and Hair Health | Syringa Inc. It can be really difficult to make sure your body is getting all the nutrients it needs from food. There are essential vitamins and minerals that your skin and hair need to keep them looking healthy and shiny. If you find that your skin and hair are looking dry and dull then you might not be giving your body the support it needs. Biotin, Vitamin C, copper and zinc are some essential nutrients that can help maintain healthy skin and nails. We’ve all heard the phrase “You are what you eat,” and it is definitely true when it comes to skin and hair care. 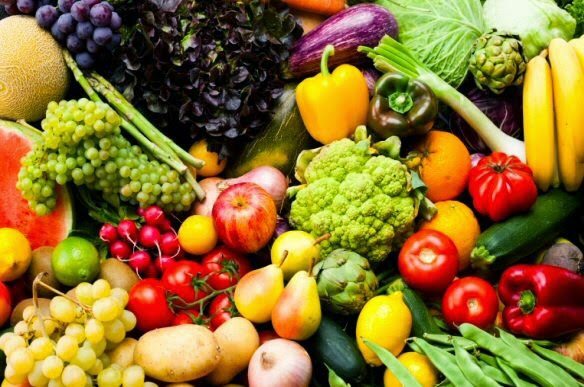 Nutrients from food are essential to shiny, vibrant hair and beautiful, clear skin. Your path to a healthier you could be as simple as avoiding certain foods. High quantities of sugar and starchy foods such as white breads, pasta and cakes can be harmful for skin and hair. Sugar increases the body’s production of androgen, a hormone that can make hair follicles shrink. If you’re not eating enough protein you could see changes in your hair and nails, because both of these bodily features are made of protein. Seems simple right? Even if you don’t prefer to eat meat, you can still make sure you’re getting enough iron and zinc by incorporating spinach, beans, lentils and tofu into your diet. 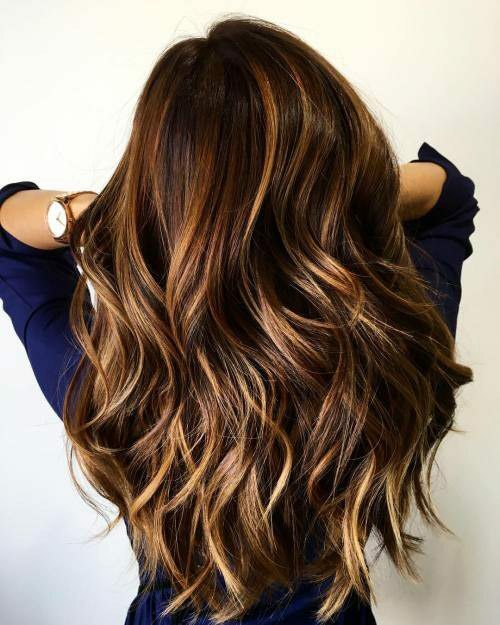 Biotin is essential to keeping your hair looking long and healthy. If you’re finding that your nails and hair are becoming more brittle and thin then it is likely you need to increase your biotin intake. Biotin supplements are one way to make sure you’re getting a sufficient amount of this vitamin, but you can also change your diet to incorporate foods that contain biotin. Egg yolks, sardines, nuts, beans and whole grains contain large amounts of biotin. You might want to put some of these foods on your next grocery list: your hair and skin will thank you! Do You Need a Skin, Hair and Nails Supplement? 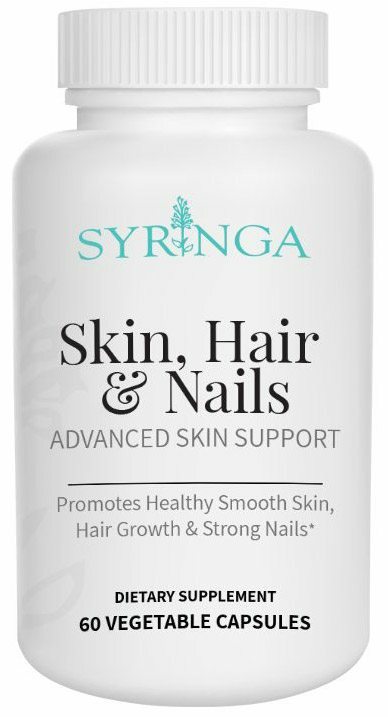 Syringa’s Skin, Hair and Nails Supplement is a mixture of the perfect balance of natural nutrients and herbs to support vibrant skin, silky hair and healthy strong nails. Our natural supplements can help give your body the support it needs in addition to the vitamins and minerals you are getting from different foods. Skin, Hair & Nails consists of a balanced blend of vitamins, herbs and minerals that protect against premature aging which makes it one of the key components of the Syringa Anti-Aging Essentials bundle. Zinc, Iron and Magnesium have been shown to help nails grow longer and cuticles stay healthy as they encourage growth and reduce inflammation. Biotin has been shown to stimulate new hair growth and promotes healthier texture by protecting hair against dryness and scalp health. 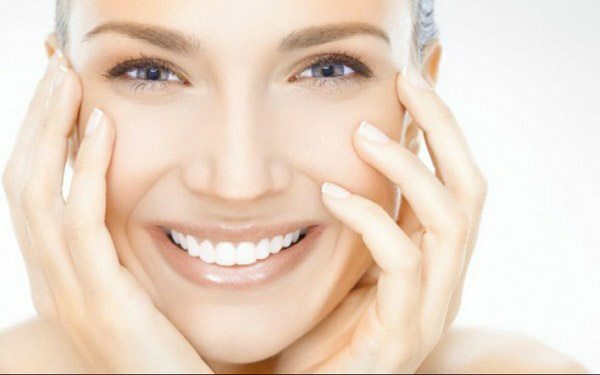 Vitamin B is another vital nutrient for overall skin and hair health. Our supplement contains multiple Vitamin B sources. Our formula contains antioxidants that help clear up acne and remove unwanted bacteria. The synergistic effect Hair, Skin & Nails, Organic Coconut Oil and Replenishing Cream in the Skin Care Essentials is amazing. Each of these items can help dry and damaged skin but when used together there are incredible benefits. Product Spotlight Subscribers received a 10% OFF discount code on Hair, Skin and Nails + Skin Care Essentials this month! Do you want to receive future product discounts? Join our monthly newsletter, Product Spotlight and start saving!